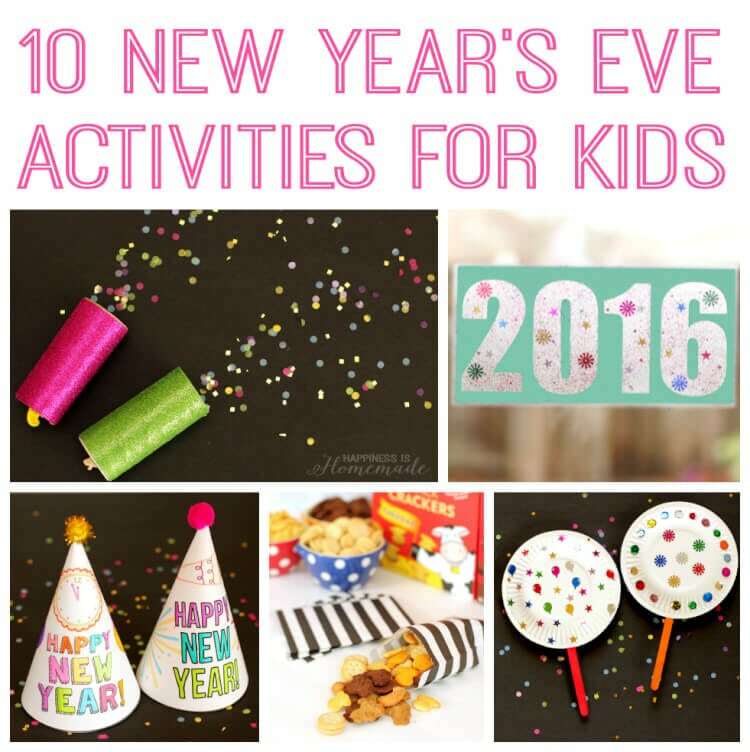 Planning an all-ages New Year’s celebration? 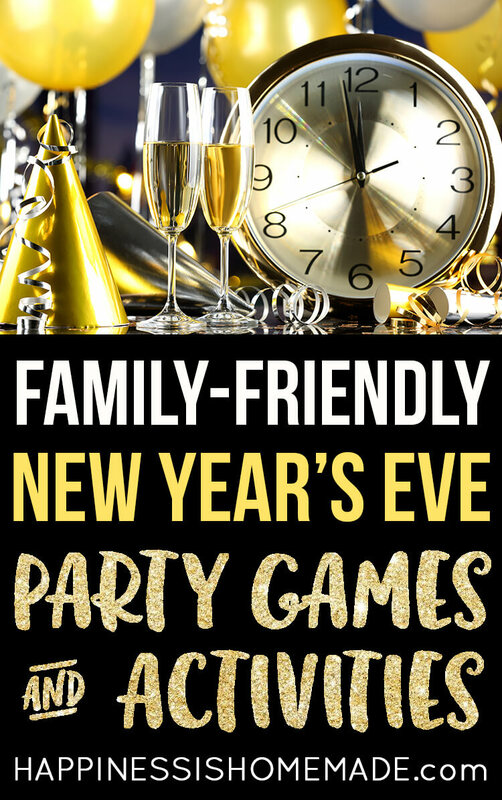 Check out this list of fun family-friendly New Year’s Eve Party Game Ideas and Activities to help make your party perfect! 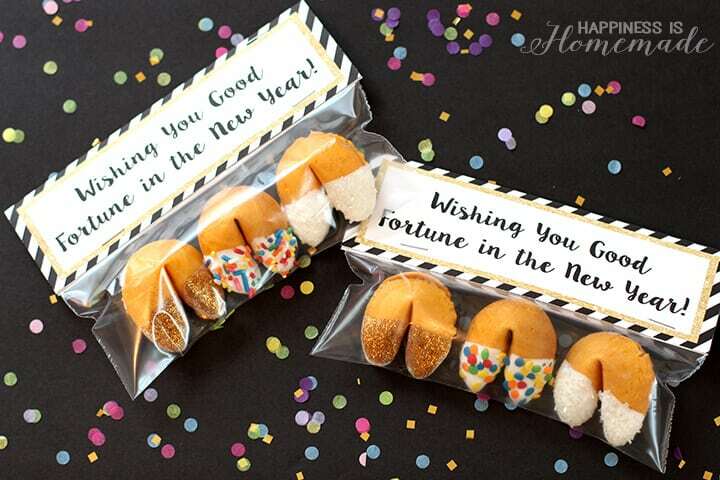 New Year’s Eve parties are always one of my favorite celebrations! 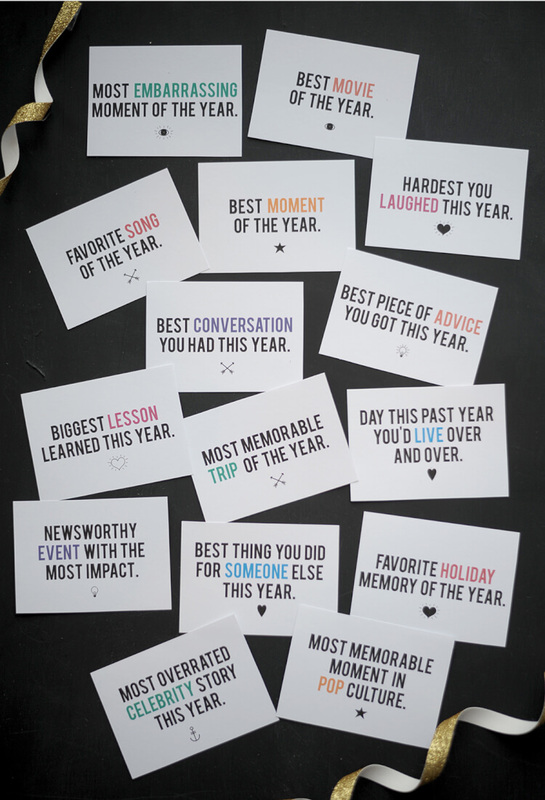 I love reminiscing about the highs and lows of the past year and chatting with everyone about our wishes, hopes, and resolutions for the new year. There’s no better occasion to throw a family-friendly all-ages shindig, and it’s always a good time for all! 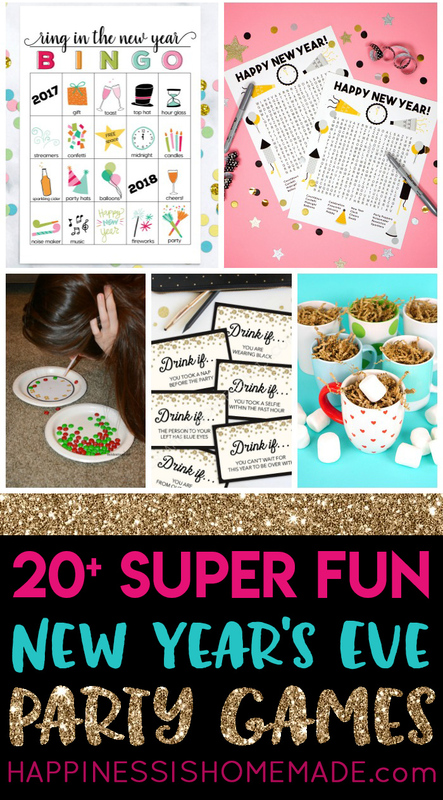 We’ve put together a list of our favorite New Year’s Eve party games and activities that are sure to make your celebration a huge hit for everyone! 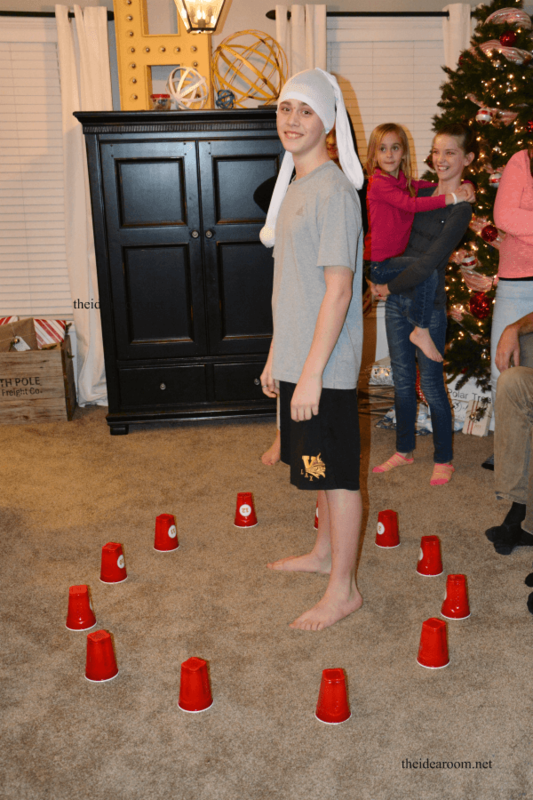 This Countdown Knock Down game looks like a ton of fun! 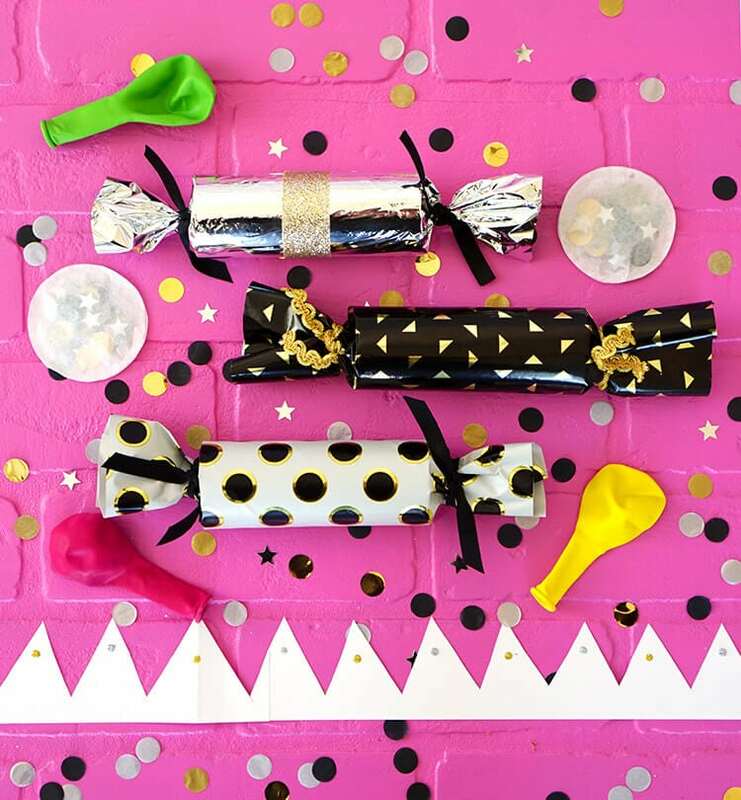 Get the rules and details along with nine other fun NYE games at The Idea Room. 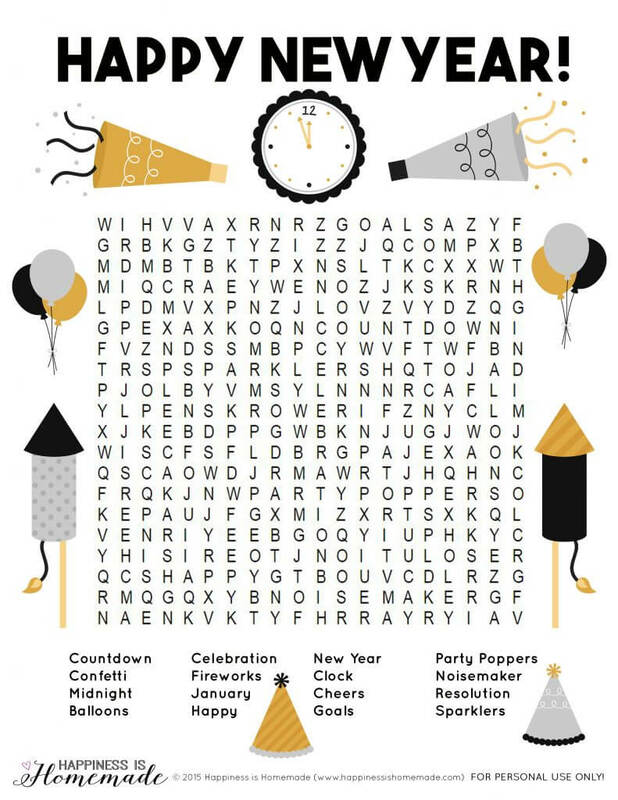 This printable New Year’s Eve Word Search is fun for the whole family! 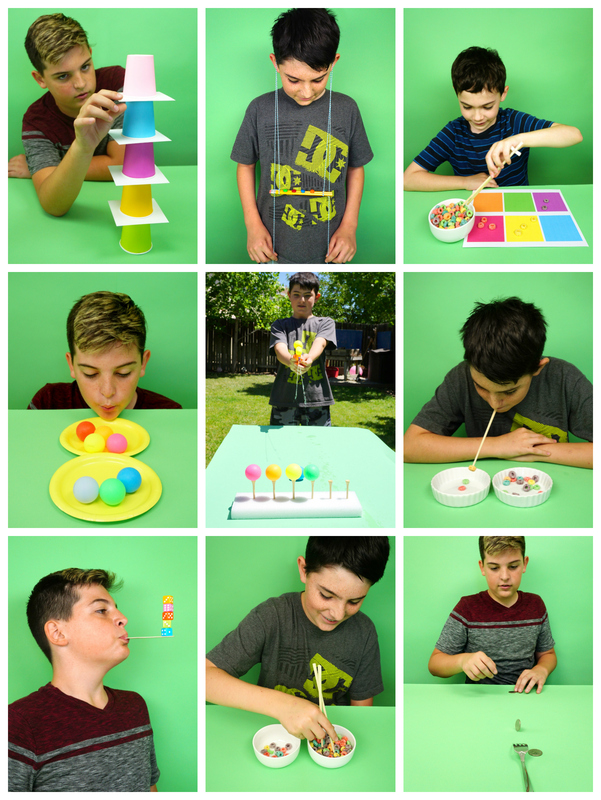 This collection of 12 SUPER Fun Minute to Win It Games is the perfect way to ring in the new year with silly fun! 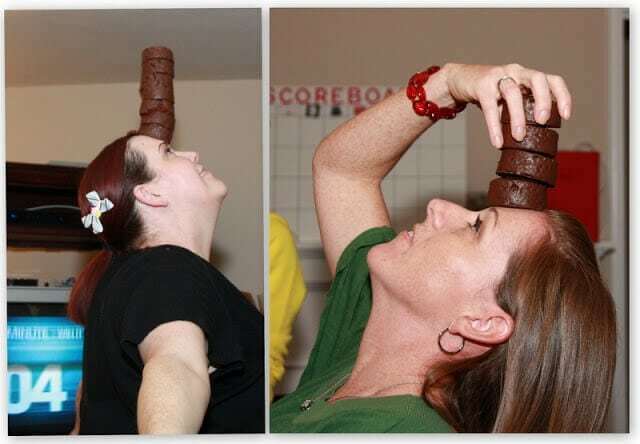 Truth or Dare Jenga sounds like a blast! 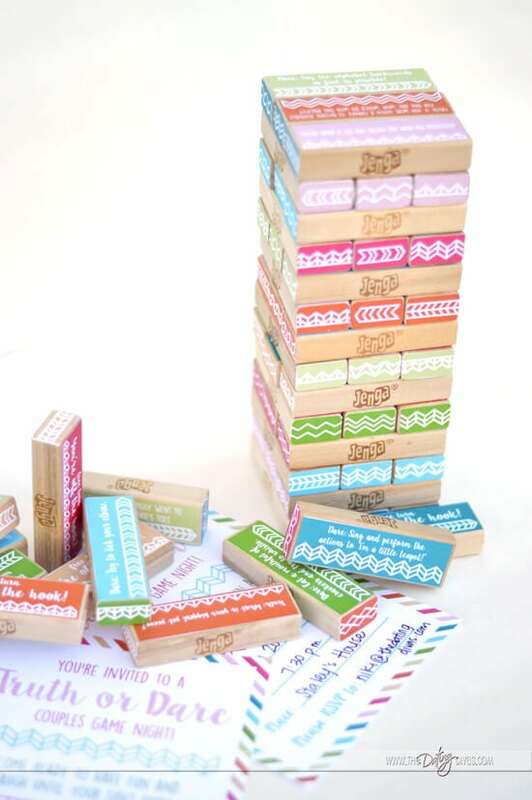 This printable pack from The Dating Divas is designed for couples, but you can also easily modify a Jenga game with a Sharpie marker for a family-friendly version! 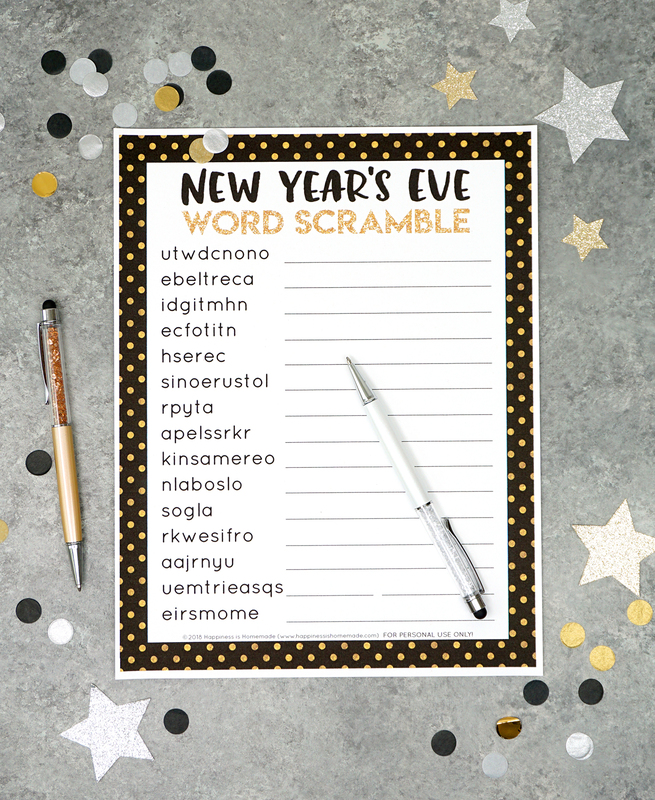 Race the clock or each other to see who can unscramble the most words the fastest with this printable New Year’s Eve Word Scramble! This silly Chocolate Unicorn game from Invite and Delight will have your guests in fits of giggles! Test your listening skills in this fun game of The Countdown (plus 15 more hilarious games!) from Play Party Plan! 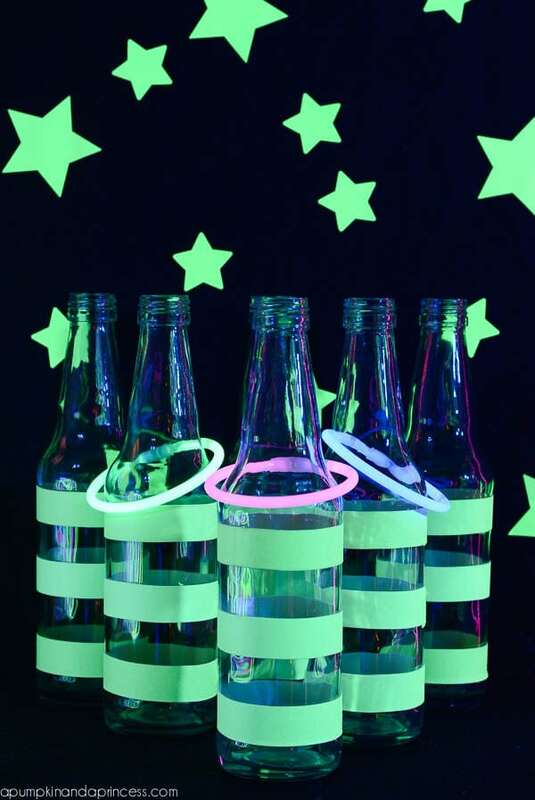 This Glow-in-the-Dark Ring Toss game from A Pumpkin and a Princess is perfect for New Year’s Eve! 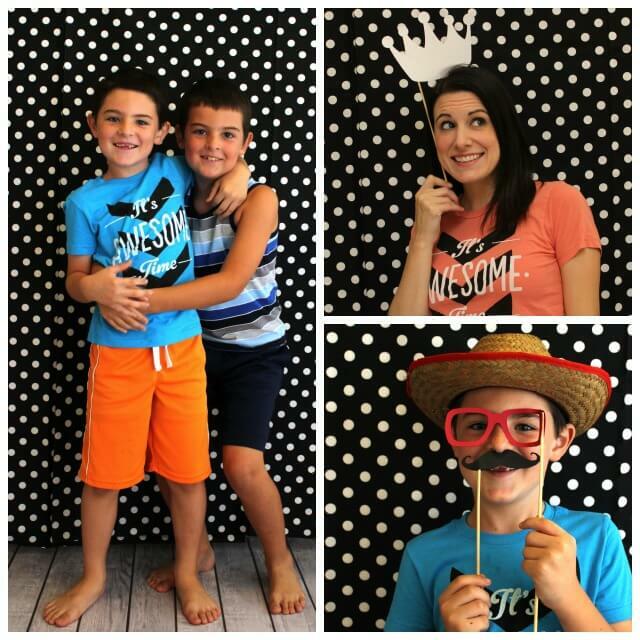 Set up a quick and easy photo booth and watch your guests have a blast taking photos with silly props all night long! 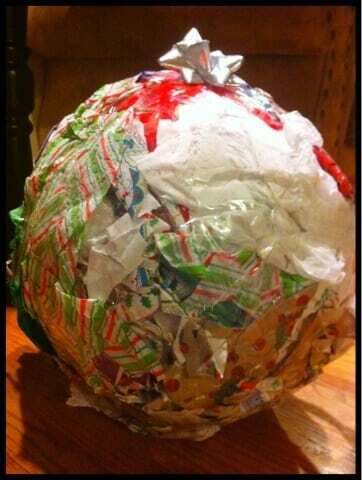 Who needs the big ball at Times Square when you can have your own New Year’s Eve Party Ball like this one from Sparkly Polliwog (hint: there are lots of fun goodies inside!)!? 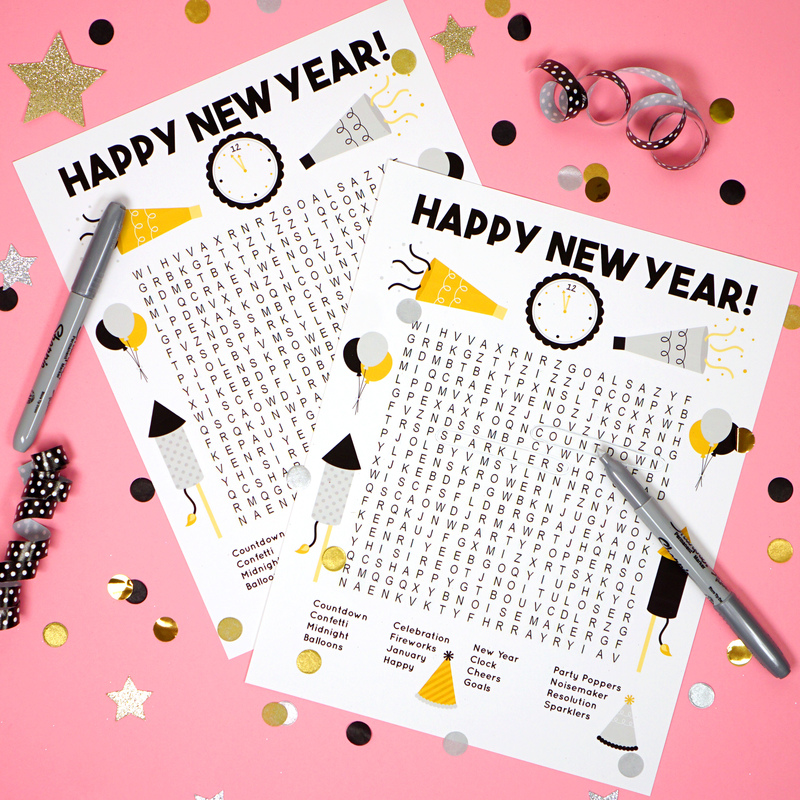 Play a round or two of New Year’s Eve Bingo with this printable game from Capturing Joy. 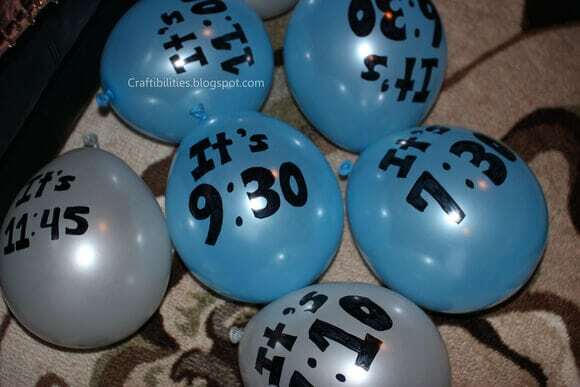 Kids LOVE this Balloon Pop Countdown from Craftibilities! 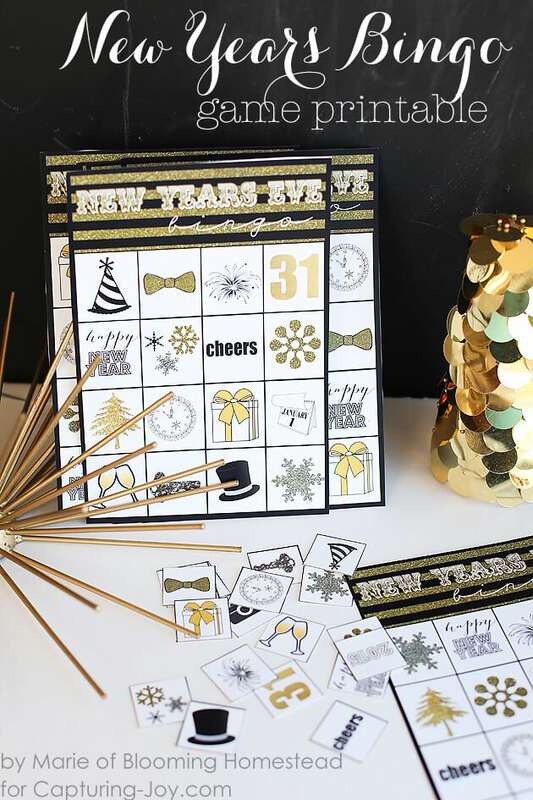 This printable New Year’s Eve Game from Alice and Lois is fun for all ages! 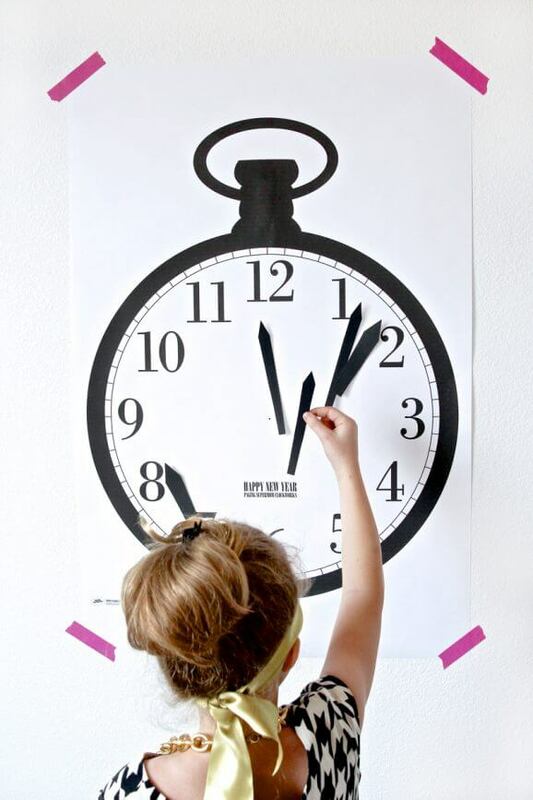 Hop over to Paging Supermom to download and print this “Pin the Hands on the Clock” twist on the classic party game – SO fun!